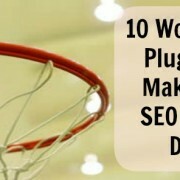 One of the best and easiest ways to improve SEO for your blog is by commenting on other blogs. On most blogs, you should be able to share your URL as part of the commenting process (underneath the name that is displayed and a space to fill in your email address). 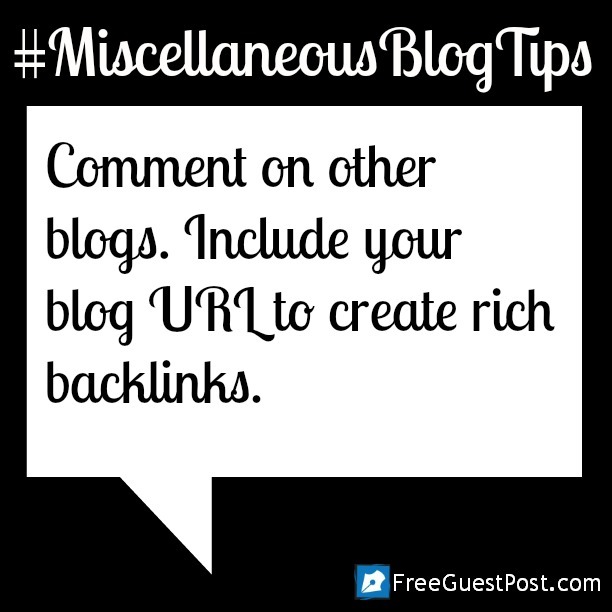 This is an easy way to share your blog with other readers and create rich, organic backlinks. Google’s spiders will see your URL on someone else’s blog and give it more SEO weight. Perusing other blogs can also be a great opportunity for learning from other bloggers. You can see how they design their website, how they use social media buttons, their “about me” page, and more. And, of course, reading entries about other perspectives doesn’t hurt either. The challenging part about commenting on other blogs to help improve your blog’s SEO is finding blogs to comment on. 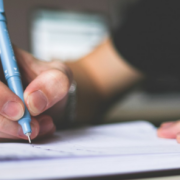 If you have a blogging community or favorite blogs that you follow, you’ve probably already commented on those (or if you haven’t, start now!). So how do you find new and diverse blogs? Social media can actually be a huge help in this regard. Log in to all of your accounts and start searching in these locations! Hashtags – Hashtags allow you to search for certain topics on many different social media outlets. Facebook, Twitter, Pinterest, Tumblr, Instagram, and Google+ all use hashtags. Searching for hashtags like #blog or #blogging are guaranteed to come up with a lot of results, including many that are spam or not interesting to you. Narrowing your search down to #bloggingtips or #OnTheBlog will narrow down your results. Try also searching for your niche. Groups – Lots of social media platforms have a groups function! Facebook, Google+, and LinkedIn allow you to create communities with similar interests. Join these groups or create your own. You can find groups for bloggers in general, bloggers in your area, or bloggers in your niche. 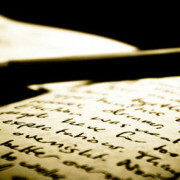 Not only will they give you valuable insight, but many members share their latest blog posts. Make sure you “like” or “+1” their post on social media as a way of showing that you did comment on or visit their blog. BlogLovin – BlogLovin.com is a website that is both a blog directory that you can search through and an easy blog reader. All of your favorite blogs can be gathered in one place, so it’s easy for you to see updates. You can also search through blogs registered with BlogLovin (there are many) by category. “Do Follow” Blogs – Do a Google search for “do follow” blogs. “Do follow” blogs are ones that allow the URL you post with your comment to be followed by Google’s spiders. Sharing your backlink with blogs that don’t have this function is still useful, but not nearly as much as “do follow” blogs. Friends/Community – Take a look at your favorite blogs. Chances are there is a list of that blogger’s favorite blogs on the sidebar. Browse through some of those. They will most likely be similar to the original blog that you liked, which can be great! You can also try asking your friends, blogging community, or social media groups what their favorite blogs are. Where do you find blogs to comment on? Share in the comments! Guest Blogging Backlash: Why is Free Guest Post Safe?